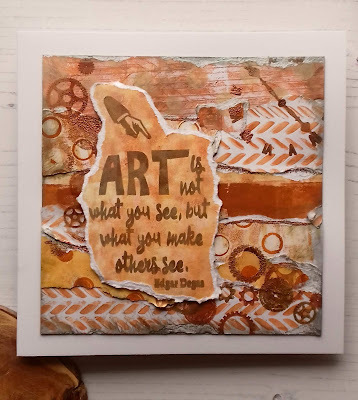 Today I am sharing a DT project for Paperbabe Stamps January challenge. The theme is "Anything Goes"
I was feeling a little under the weather when I created my project and need to make something that was quick and reflected my mood. I opened my box of Paperbabe stash and found some Gelli prints I had made for a previous project (I knew there was a reason I kept them) I decided a collage background was the way to go. I tore the prints into strips, exposing the white core, I adhered them to some thick kraft card using strong double sided tape. I added some stamped patterns using cogs from one of the sets in my stash. I also added some copper embossing powder in random places and a little gilding wax to add that distressed feel. 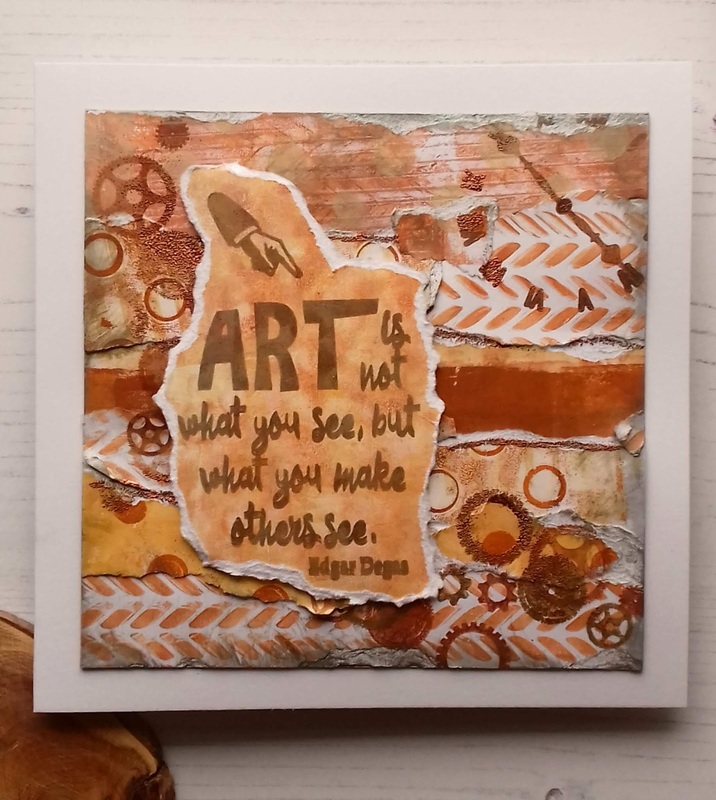 The sentiment is a favourite of mine, sometimes I create projects and don't like the finished piece but really good comments from people about them and I'm learning to let my creativity roam free and see where it takes me. If you'd like to join in with the challenge pop over to the Paperbabe Stamp Blog for more details.